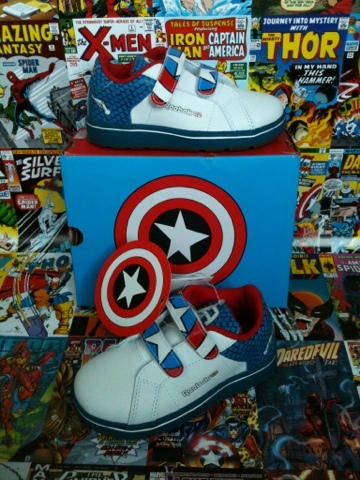 Gifts from the Pirates: "The one thing children wear out faster than shoes is Parents"
"The one thing children wear out faster than shoes is Parents"
Reebok Captain America children's trainers, all i need now is a decent t-shirt to go with them and maybe a matching outfit for daddy. Its just a shame he wont be in them until he's about 3. Actually- I am interested in playing. But I am Mary Jane.